Home Cloud DropBox How to store your files safe on Cloud? How to store your files safe on Cloud? From my experience i have so many experience in loosing my files (Photos, Videos, Documents ect) via Virus-attack. you can say if virus attack our computer we can only format "C" Drive so our files are safe in another partition. If your computer attacked by any virus, try to fully format your computer and re-install your Operating System. So you'll loose all your files. i suggest dropbox to store your important files, dropbox will store your files on a cloud so anytime you can get back your files from a internet connected computed. the below video explains about dropbox service. 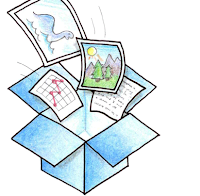 Whatever files you store on your local computer dropbox folder it will automatically uploaded to your dropbox account folder! try DropBox Now!